SPOTLIGHT: Hot Pre-Code Hopkins (IV) | THAT'S ENTERTAINMENT! A wealthy but neurotic Southern belle finds herself trapped in the hideout of a gang of vicious bootleggers. Starring Miriam Hopkins, William Gargan, Jack La Rue, and Florence Eldridge. Screenplay by Oliver H.P. Garrett. Based on the novel by William Faulkner. Directed by Stephen Roberts. The dark and infamous screen adaptation of Sanctuary (1931), one of Faulkner’s most controversial novels, The Story Of Temple Drake stars Miriam Hopkins in her most Pre-Code role to date: a promiscuous Southern belle who is raped by a bootlegger, becomes his fallen woman, and shoots him when he threatens her one true love. Banned in several states in its initial release, the film has been in and out of circulation for decades, and has never been commercially available in the US, despite its popularity on TCM and among the Pre-Code community. This one’s not for the kiddies; it’s hotter than Hades and grittier than gravel. I found an abridged synopsis because I didn’t want to spoil the whole plot. (At least, not right away.) 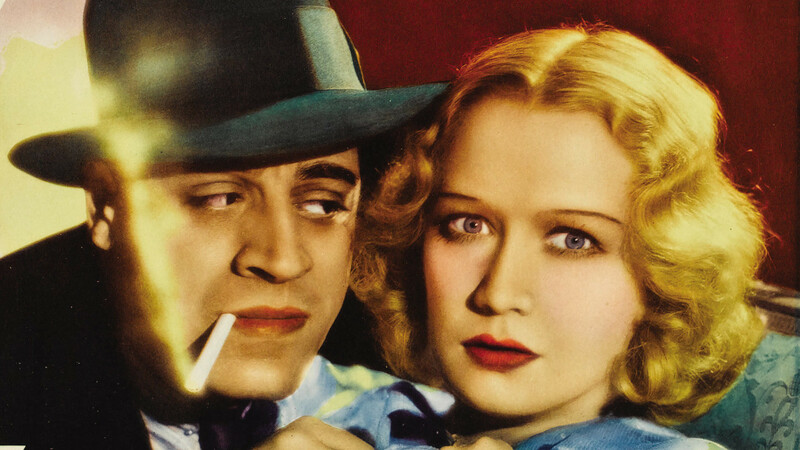 The film is undeniably Pre-Code, and though vastly different from the book, which I must admit to not having read, many people were surprised that the story was even adapted in the first place. Hopkins plays a Southern belle from a reputable family whose carnal ambitions (despite her implied virginity — they can’t have her be full on whore… yet) keep her from committing to the lawyer, Gargan, who loves her. One evening she gets into a car accident with a drunken beau and is taken to the lair of a gang of seedy bootleggers, one of whom is Trigger, played with terrifying menace by Jack La Rue, who rapes Temple in the barn and kills the young buck standing watch. When one of the other gang members is arrested for the murder (whose wife is played by the great Florence Eldridge), Gargan goes to get the real story from Trigger. And who does he find in Trigger’s room? Temple Drake: tarted up and decidedly fallen. While Temple manages to keep her love alive (to quote the Rodgers and Hart song), she and Trigger are summoned to testify. After Gargan leaves, Temple tries to escape and shoots Trigger in defense of her life. The last few minutes of this fast paced film take place in a courtroom. Will Temple confess, exonerating Eldridge’s husband while simultaneously ruining her reputation? The film is very sexual, and the heat never really lets up. Yet, it’s not a fun heat like some of the other Pre-Codes we’ve covered on Film Friday. There’s a tawdriness about this film that makes it incredibly uncomfortable — in the most entertaining way possible. A lot of this is the casting. 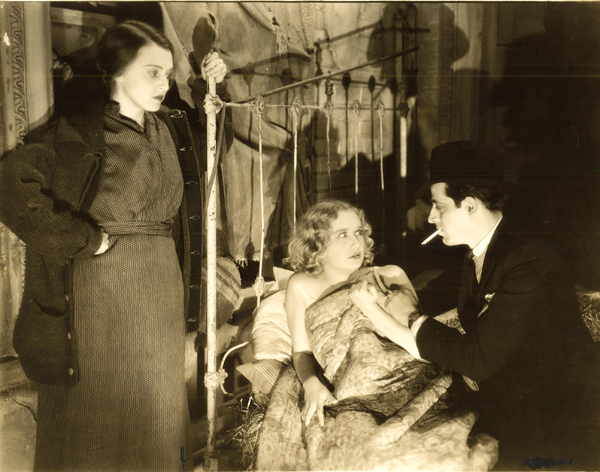 La Rue, as I mentioned above, is brutally terrifying as the towering bootlegger who ‘ruins’ Temple Drake. He’s a dastardly unlikable character; and the film makes no bones about it, no attempts to make him likable or relatable. This frank storytelling is very refreshing, and does wonders for keeping the plot’s trajectory tense. But a lot of this smarminess is cultivated by the look of the film, which remains perpetually dark, even in Hopkins’s closeups, and invokes the tropes one would associate with the horror genre. (In fact, this film may even be scarier than Jekyll and Hyde, partially because we don’t know what vile act is going to happen next!) The whole thing is quite masterful, and should impress even the snobbiest of 21st century audiences (in which I include myself). 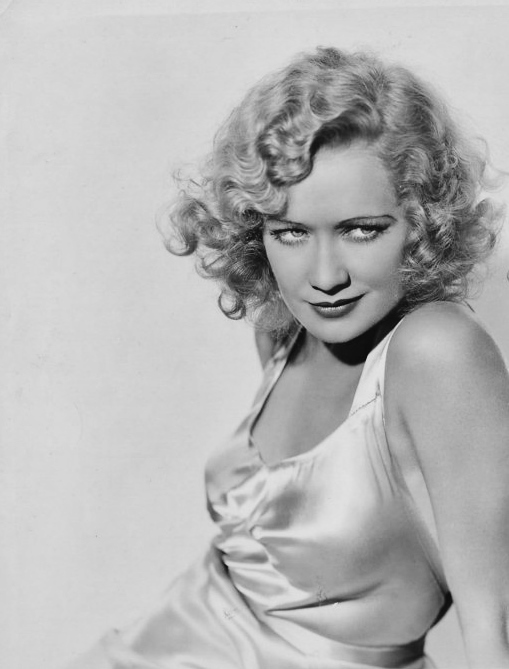 Of course, the most exciting feature of this film is Miriam Hopkins, who gives the best performance I’ve ever seen from her. She runs the gamut of emotions — coy and flirtatious at the start, shocked and petrified in the middle, tense and overcome by the end. Her portrayal of Temple Drake is never artificial; she layers every look with spoken and unspoken thoughts, creating a nuanced performance out of a character who could easily become a common stereotype. It’s breathtaking, and while she’s great in the naughtily flippant comedies (as we’ll see next week), her range as an actress, as adroitly demonstrated here, may surprise you. All Pre-Code lovers need to see this film. Check for it on TCM or subscribe and comment below if interested in obtaining a copy. It is highly recommended. Come back next Friday for one more Pre-Code Hopkins film! And tune in on Monday for the start of a whole new week on That’s Entertainment! This was on last week and I just finished watching it–BOY was it something!! Hopkins is great as she usually is in these early films (except for her saying “Sho’nuff” too many times). Yes, TCM has been showing a lot of Pre-Code essentials, and this film is a natural fit. 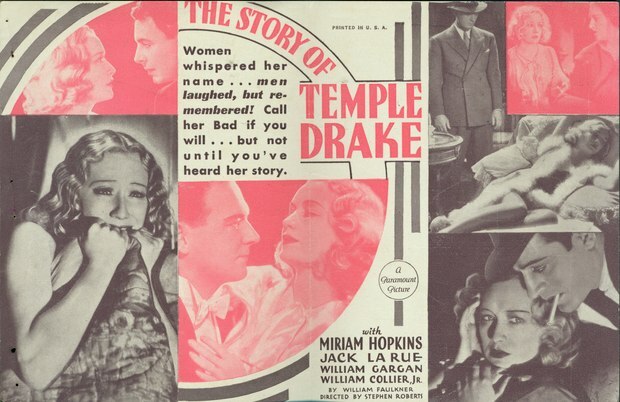 As is the case with most of the pictures in our Pre-Code Hopkins series, she’s the main draw! Such versatility; but she doesn’t quite get the attention today that she deserves.